Create texture, body and separation when you use this Tigi Bed Head Hook-Up Mousse Wax. This great styling mousse will give you a cool grungy look. 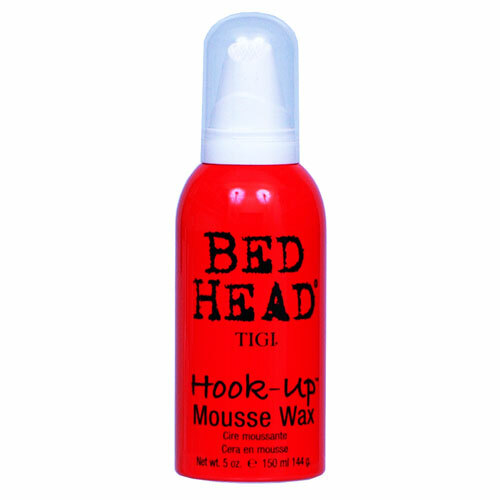 The Tigi Bed Head Hook-Up Mousse Wax suits all hair types, and will provide you with medium hold. It has an Asian pear fragrance and will condition your hair while giving it a high textured, semi matte finish. And remember, a little goes a long way.